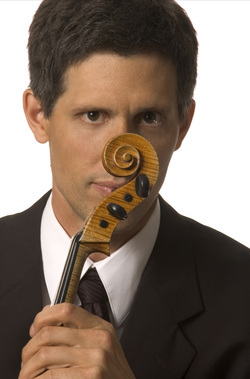 Violist Steve Larson is both a highly dedicated teacher and one of the most passionate performers of his generation. The Montreal Gazette has praised him for his "singing tone, eloquent phrasing, expressive dynamics and flawless intonation," and Gramophone Magazine calls his playing "riveting." He is a Senior Artist Teacher at The Hartt School, having served as String Department Chair from 2001 to 2006 and as Chamber Music Chair from 2007-2011. Since 1994 Mr. Larson has been the violist of the Adaskin String Trio, one of the pre-eminent ensembles of its kind in the world. He also performs regularly with his other acclaimed chamber groups, Avery Ensemble and Ensemble Schumann, and has performed as a guest with the Emerson & Miami String Quartets and the Lions Gate & New World Trios. In 1997, Mr. Larson won second prize at the Lionel Tertis International Viola Competition, UK, also receiving the special award for his performance of the commissioned work. He has performed as a soloist internationally and given master classes at numerous conservatories, universities and summer programs. He performs and teaches viola and chamber music each summer at the Wintergreen Festival in Virginia. He studied violin with Elman Lowe, Howard Leyton-Brown, and Mauricio Fuks, viola with Jutta Puchhammer and Steve Tenenbom, and chamber music with members of the Emerson and Orford String Quartets. Kevin Bishop has been referred to as “an enthusiastic young violist” by Chamber Music Magazine, a “brilliant young entrepreneur” by Classical KUSC FM Los Angeles, and was said to "bring lushness to the movement that easily touched the soul" by the Inland Valley Daily Bulletin. As an international competition winner, Kevin made his recital debut at Carnegie Hall in New York City, and was featured on the “New York’s Finest” series at Lincoln Center. Kevin is a committed chamber musician and educator, and has dedicated his career to using music education to solve some of the world’s political and social indifferences. He tours the globe as a dedicated member and director of Cuatro Puntos, a group of chamber musicians dedicated to global cooperation and peace through the writing and performance of new music worldwide. He was recently sent by the United States Embassy to be a guest artist at the Afghanistan National Institute of Music in Kabul, Afghanistan. In addition to a lengthy teaching residency, he premiered a new commission by UK composer Sadie Harrison for viola, tabla, and rubab, the national instrument of Afghanistan, in a symbolic and ground-breaking performance alongside the institute’s students in Kabul. Kevin also helps lead an ongoing partnership with the Orquesta Sinfónica de Tarija, an El Sistema program benefiting young musicians in Bolivia. Before moving to Connecticut to become a founding member of Cuatro Puntos, Kevin was founder and director of the Western Society of Chamber Music. With this organization he helped transform the musical scene in his inner-city, low-income hometown outside of Los Angeles. He led the creation of education initiatives that included free lessons, scholarships, and performance opportunities. He also led the creation of a small professional orchestra, and organized and performed in hundreds of chamber music concerts across Southern California. As a chamber musician, Kevin has performed on international concert series on three continents, including recent appearances in Bolivia and Brazil. He has also been resident violist for the Southern California Brahms Festival, where he performed the complete chamber music of Brahms for the region’s top concert series and venues. He has been a guest with renowned ensembles such as the St. Petersburg String Quartet, Avery Ensemble, and Avanti Quartet. He has been featured in articles in Chamber Music Magazine, appeared in a special broadcast on Aljazeera America, and has been heard in performances and interviews on radio stations across the world. Following his debut as a competition winner and concerto soloist with orchestra at age 13, he has frequented the stage as a soloist, including under renown conductor Nicholas McGegan. He has performed at the internationally televised Grammy Awards, and in performances with celebrity artists such as the Foo Fighters, Dionne Warwick, and John Paul Jones of Led Zeppelin. Kevin is currently principal violist for the Hartford Independent Chamber Orchestra, a dynamic group of professionals that champion new music and innovative programming as part of their full concert season in Connecticut. 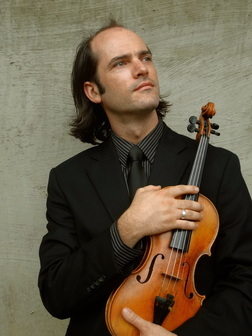 Violinist Aaron Packard holds a Bachelor of Music degree from the Oberlin Conservatory of Music and a Master of Music degree from State University of New York at Stony Brook, both in Violin Performance. He has served as concertmaster of the Oberlin Conservatory Orchestra and the Round Top Music Festival Orchestra in Texas. Aaron has served as adjunct professor of violin and viola at the Hartt School of Music Community Division. He is a member of the New England Piano Trio, Cuatros Puntos, and Praxis, an experimental ensemble based in New York City. He is also a member of the Aternus Chamber Orchestra. He is currently a faculty member at Pakachoag Community Music School, the Groton School. and a faculty member for the Joy of Music program. Allan Ballinger is an Assistant Professor and Curriculum Director for the Humanities at Goodwin College in East Hartford, CT, where he teaches Music History, US and World History, and Women’s Studies. 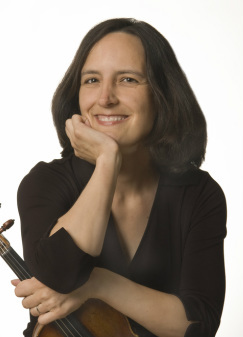 Allan earned his Doctor of Musical Arts degree from the University of Connecticut (2013) in Cello Performance, with a minor in Music History. While at the University of Connecticut he studied cello with Dr. Katie Schlaikjer, now cellist of the Penderecki String Quartet. His doctoral dissertation, In Quest of the Sacred: Arvo Pärt and Sieben Magnificat-Antiphonen, combines an analysis of that composer’s music with an exploration of his spirituality, and the historical context in which his unique style of composition evolved. Dr. Ballinger did his undergraduate studies in cello performance at the University of Cincinnati’s College Conservatory of Music, where he studied with renowned solo artist Lynn Harrell and Lee Fiser of the LaSalle Quartet. While principal cellist at the University of Cincinnati, he had the opportunity to perform Krystof Penderecki’s Capriccio per Siegfried Palm in a master class for the composer. 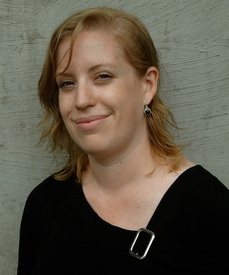 He has also studied with Kangho Lee at the University of Connecticut, Julie Ribchinsky of the Connecticut Trio, and Mussie Eidelman of the Youngstown (OH) Symphony. 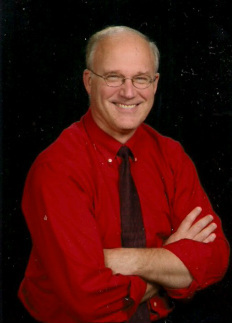 Allan has master’s degrees in both History and Music Education from Central Connecticut State University. He taught instrumental and vocal music for many years in Connecticut public schools, and has been Minister of Music for the Enfield Congregational Church for the past ten years.